It’s September and after a slow down over the summer, I’m now back to a regular filming schedule! 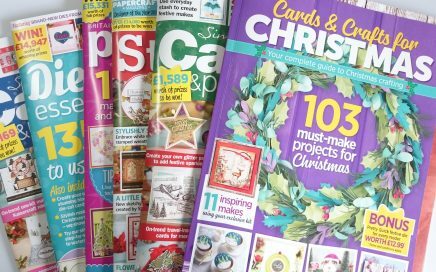 We’re kicking off the season with the first of the Christmas craft magazine issues. 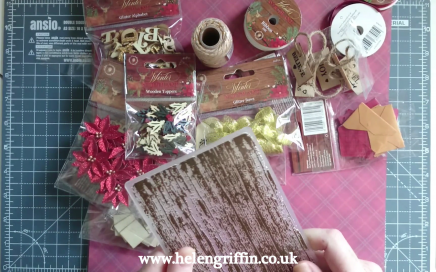 It’s that time of year when the tinsel comes out and my camera can’t cope with the summer heat! Christmas in July is just around the corner and I’ve been shopping! Wanna see?? Here we have part 2 of the Christmas mini album bonus. I love how easily this album comes together and can’t wait to fill it with all my Christmas memories. Welcome to Day 2 of Christmas in July! 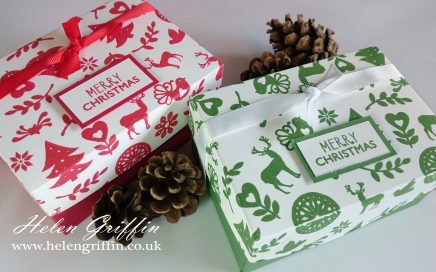 Today we will be making a Nordic/Scandinavian inspired gift box using the lovely new Christmas range from Crafter’s Companion. 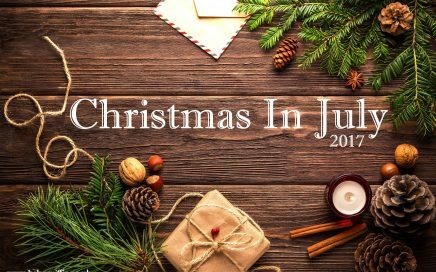 Welcome to Day 1 of Christmas in July and I’m so excited to get this series started! 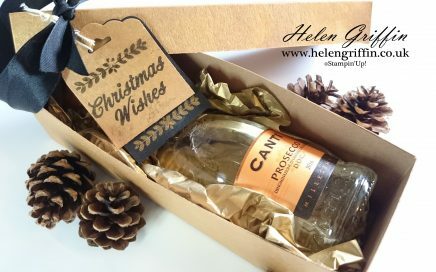 Today, we are making a gift box for a mini bottle of wine. 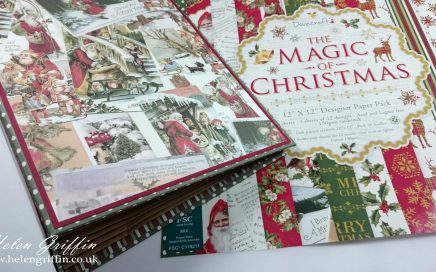 I can’t believe it has already been a year since my last Christmas in July series and I’m just as excited to share this years series! 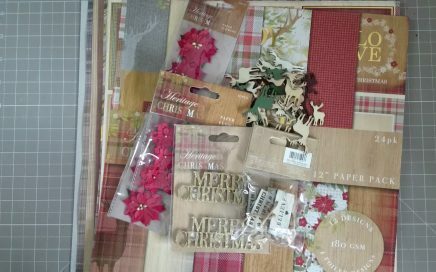 I’ve been craft shopping and here I am sharing it all with you! 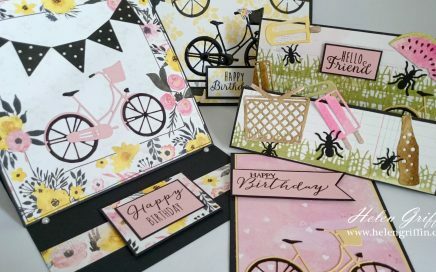 I had so much fun playing with this collection from BoBunny for this month’s Die-Cutting Essentials Magazine (issue 25), especially the bicycle die! I just love how they have mixed pink & yellow pastels with black. And I do love to add black into most of my projects, so these papers were perfect. 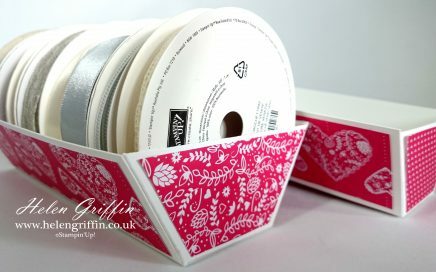 We’ve all been there with the troublesome ribbon spools….rolling around and unwinding themselves! At times, they seem like the stuff nightmares are made from when they’re all tangled. So here’s a solution to keep them nice & tidy. Every now and then, you make a project and it makes you smile with glee every time you go back to it. 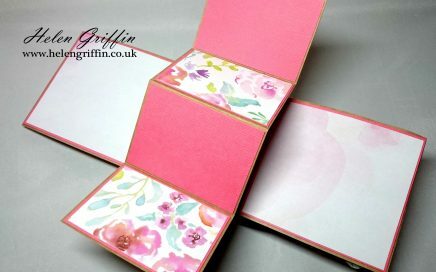 This is one of those projects – I will never get bored of opening and closing this one. 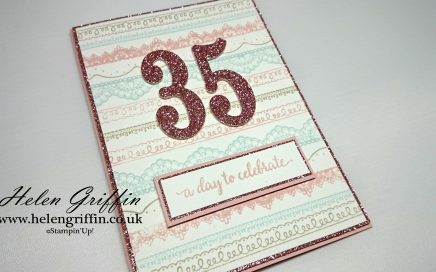 I made this card for our team’s blog hop last month and I promised a tutorial on how I made the card. 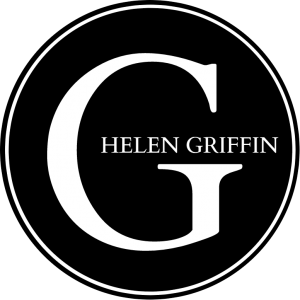 If you’d like to go on the blog hop, the details are HERE. Happy hopping! 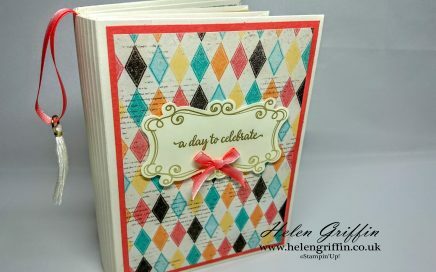 Thank you for joining us for The Pootler’s Blog Hop! We’re so excited to be sharing this hop with you. 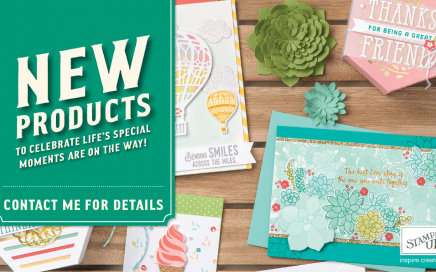 The products used are all from the new Spring/Summer and Annual Stampin’ Up!® Catalogues. Simply use the links at the bottom of the post to keep hopping! 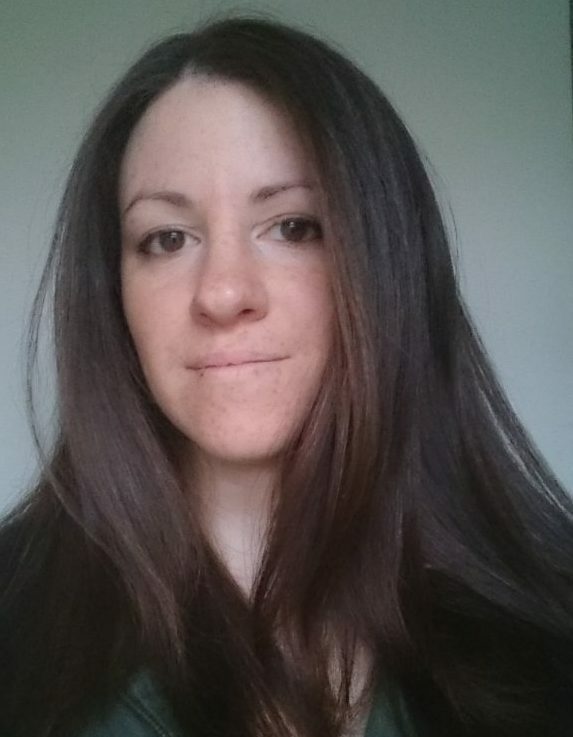 Hello and welcome to the very first Pootlers’ Team Birthday Blog Hop! Team Pootles has grown so large that we now have quite a lot of birthdays to celebrate – and mine is this month! The 9th of January to be exact. 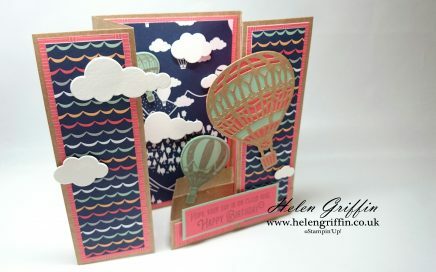 Today, I have a tutorial of how to make a card that I shared last week. This card started out as another experiment – I wanted to see if I could replicate the frozen leaves that are still on the ground. They look so sparkly and pretty! 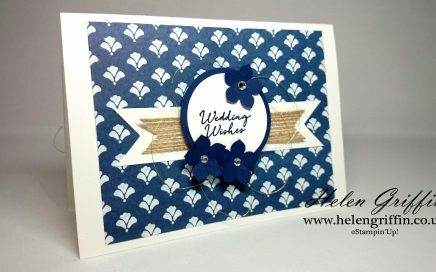 It’s not very often you see me using patterned paper on my cards. I’m not too sure why either? So, for today’s card, I thought I would do just that! 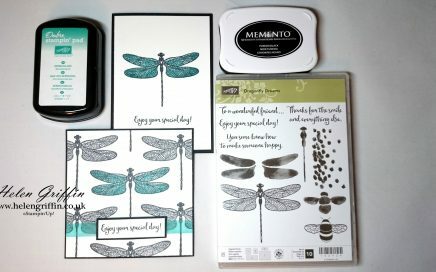 I love the look of black & white and this combination is great for creating unisex cards. 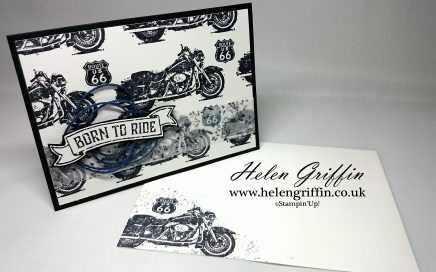 There are loads of biker women out there, so this card isn’t just for the gents!